Barry Trotz didn't have an update on either player after the game, but said that if Filppula is out for a longer period of time, they'll talk about a solution organizationally. It all started off so well. Casey Cizikas was back, the fourth line was whole, and the Islanders were fully healthy. They were sitting atop the Metropolitan — tied with the Capitals but owning the tiebreaker. And the playoffs were a mere 10 games away. But then, you know — the game started. 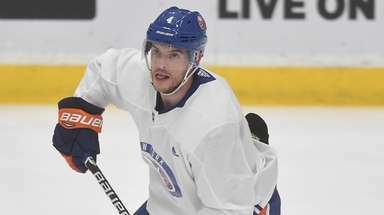 A promising setting turned into a painful, pricey 5-0 loss to the Bruins Tuesday night, as the Islanders got back one center but lost another, Valtteri Filppula, only 10 minutes into the game. And if fans could at least console themselves on the full return of what’s probably the best fourth line in the NHL, that didn’t pan out either. Cal Clutterbuck headed to the dressing room after a hit near the blue line in the second period. Neither returned, and over in New Jersey, the Capitals walloped the Devils to take first place. Barry Trotz didn’t have an update on either player after the game, but said that if Filppula is out for a longer period of time, they’ll talk about a solution organizationally. “I’ve used (Josh Bailey) there, Leo (Komarov) there. 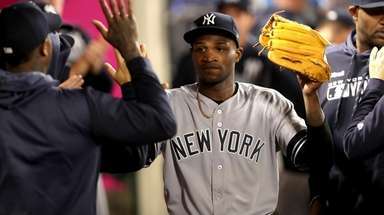 We’ve got a couple young kids in the farm, so I think that will be an organizational talk,” he said. Already listless against a Bruins team they’ve struggled to solve, the Islanders lost their first forward 10:26 into the first period when Filppula took a hard check to the left shoulder, courtesy of Connor Clifton. He didn’t return and was ruled out for the night with an upper-body injury at the start of the second period. Clutterbuck’s upper-body injury appeared to come after a collision with John Moore with 10:52 left in the second. He stayed in for another shift before departing. The Islanders played the third with 10 forwards. 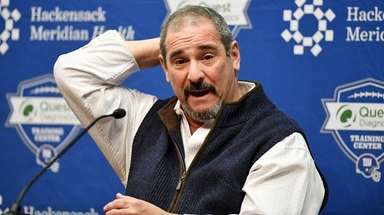 Depending on the severity, they’re significant blows for a team deep in the throws of a playoff race, and one that’s had some deficiencies at the center position since Cizikas was hit with a stomach bug last week. He was tentatively slated to return Saturday, against the Red Wings, but he was pulled during warm-ups, the result of a lower-body injury. Before Tuesday’s matchup, Trotz touched on their depth at center, and said things like Cizikas’ absence has led to some tinkering, and less playing time for guys like Michael Dal Colle, who Tuesday was a healthy scratch and has only appeared in three games this month. After missing the last two games, Cizikas acknowledged Tuesday morning that he’s been a little run down. 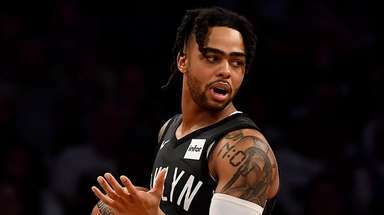 He characterized the stomach bug as “hell for 24 hours” (for the record, he played through it, though in spurts), but said he felt far better than he thought he would after skating. 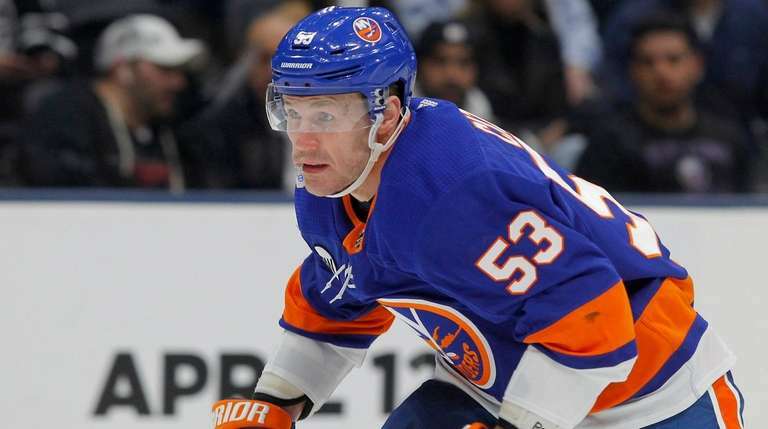 Cizikas in in the midst of a career year — 19 goals, 30 points, and, going into Tuesday, a 19.6 shooting percentage — and that fourth line has been an unmistakable boon for the Islanders. The reunion, though, was short-lived, and only time will tell what this will mean for the Islanders during the most important time of the year.